One of my friends had memories of visiting Phillipsville as a child back in the 80’s. 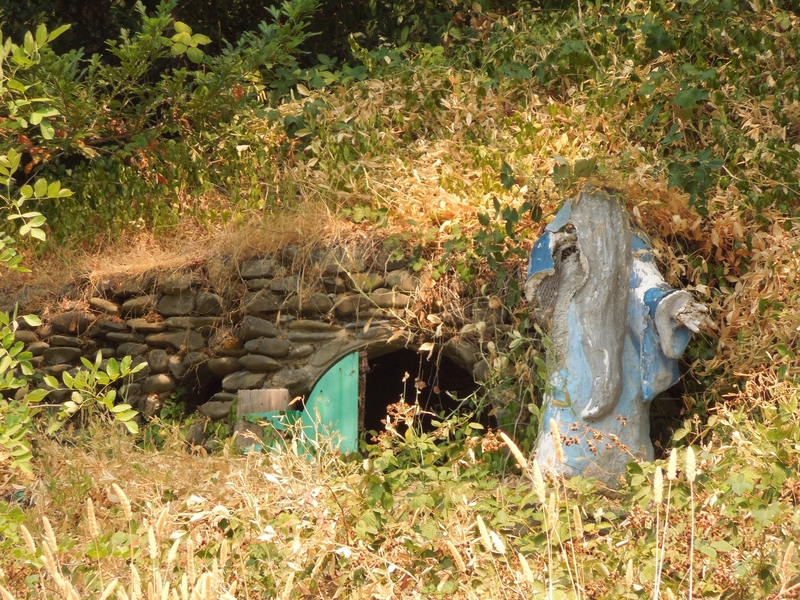 Back then, there used to be a short trail full of life-size scenes from JRR Tolkien’s “The Hobbit” constructed into the mountain, and my friend wanted to see if they still existed. As avid Lord of the Rings fans, we were all game to check it out! 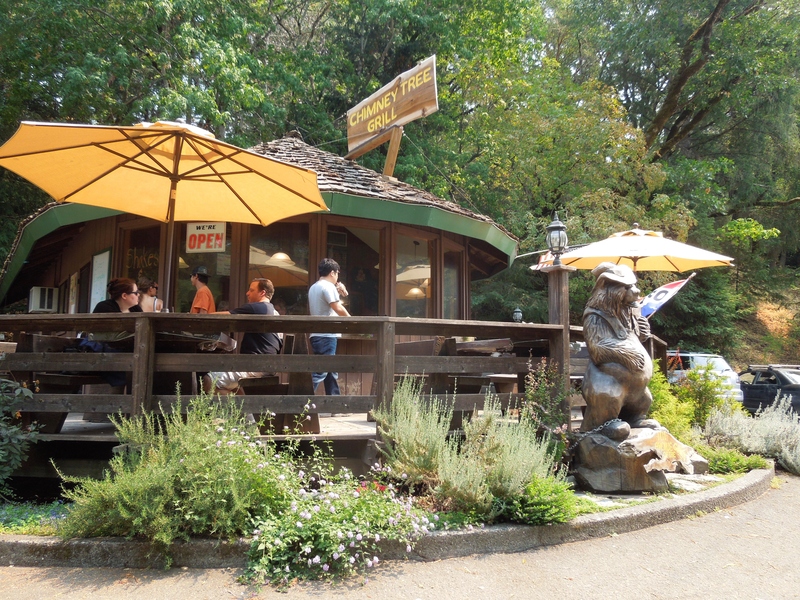 Located in Northern CA along the HWY 101 just South of Humboldt Redwoods State Park, it was easy to find and perfectly situated to serve as a pit stop on our way to San Francisco from Redwood National Park. Information on the Hobbit Trail was hard to find however. 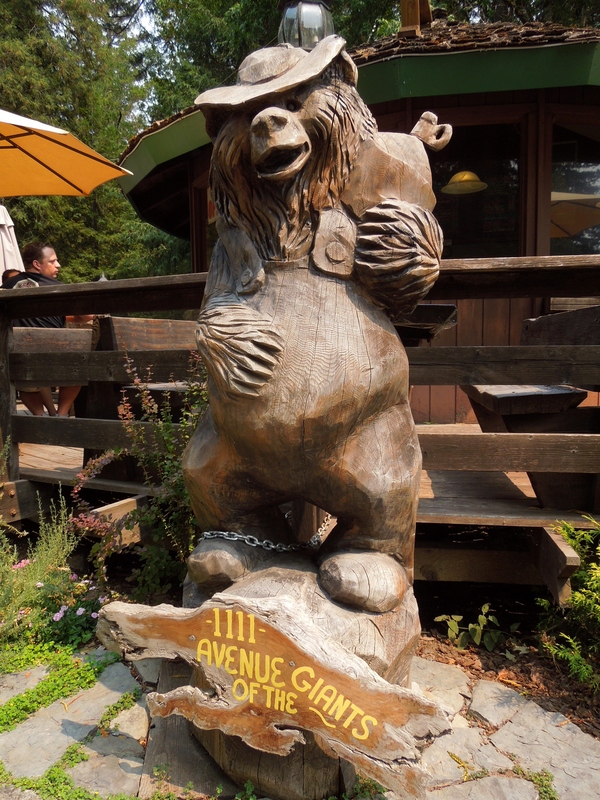 We tracked down the location to this restaurant, The Chimney Tree Grill, which was perfect since we were all starving. 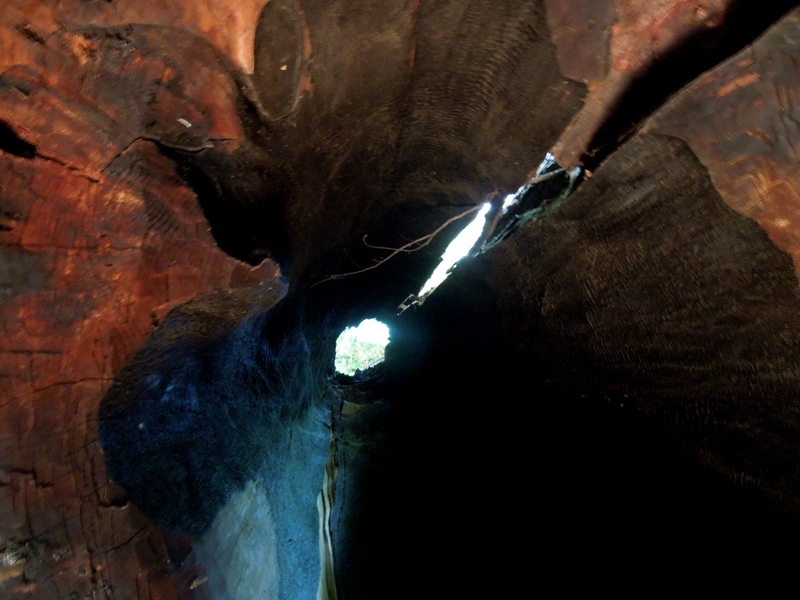 We soon learned that the trail officially closed years ago, but some of the scenes are still visible from the road. So we parked our cars and went to see what we could find. We started at the restaurant. I got these tasty deep fried jalapenos. Not to be confused with jalapeno poppers… these were just straight up fried jalapenos. They were good though! After feasting, we went to check out the restaurant’s namesake. 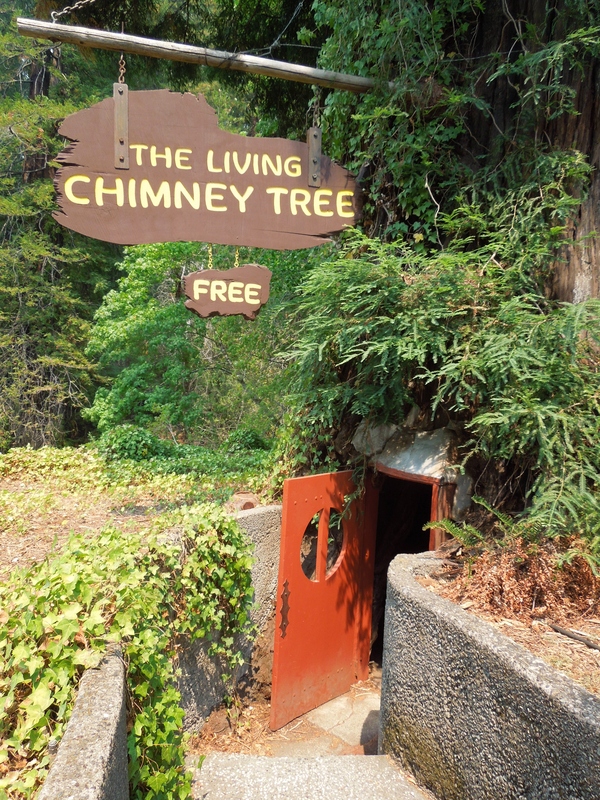 The Living Chimney Tree is a hollow redwood tree (still living) that you can go inside and see all the way up through the top. Definitely interesting to see. And more importantly, it was free and right next to the restaurant, so we figured, why not? And then, it was time to find the Shire. You could see the beginning and end of the trail, but they were chained off and completely overgrown. 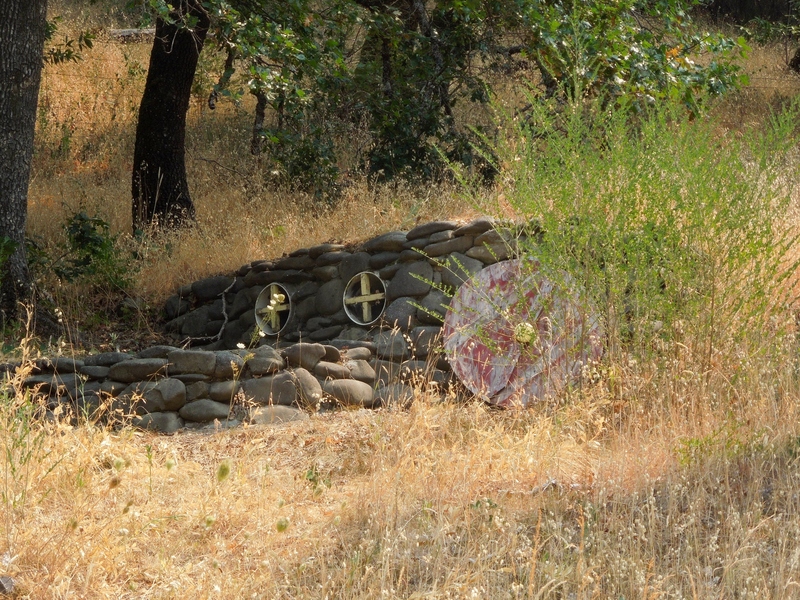 There really wasn’t much you could see from the parking lot, but we were able to see a couple hobbit holes and the most frightening Gandalf I have ever laid eyes on. I mean yikes. Look at his face! It is the stuff of nightmares. Without a doubt, Phillipsville has got to be one of the most random and odd pit stops I have been to. So if you are in the area and are looking for a place to stop for food or a bathroom and want to see something more interesting than a fast food place, Phillipsville and the Chimney Tree Grill are a great choice! 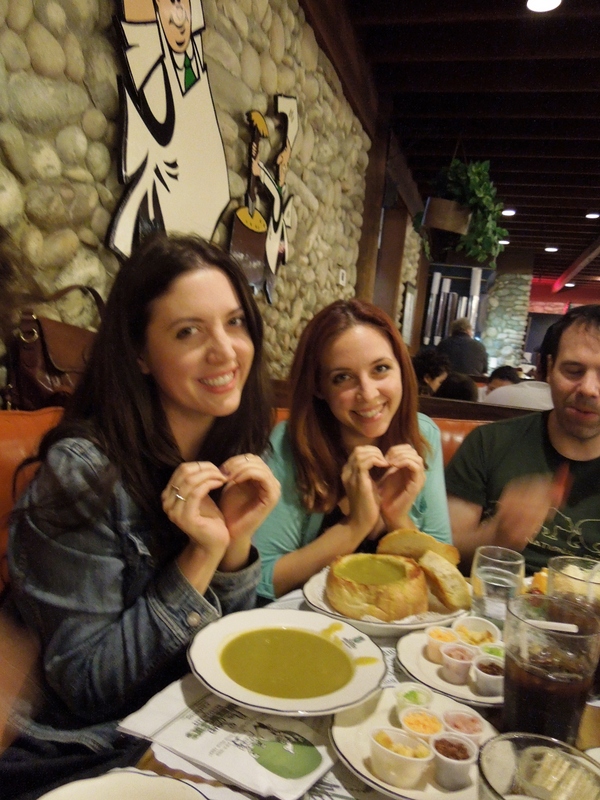 Pea Soup Andersen’s: California’s Best Split Pea Soup! 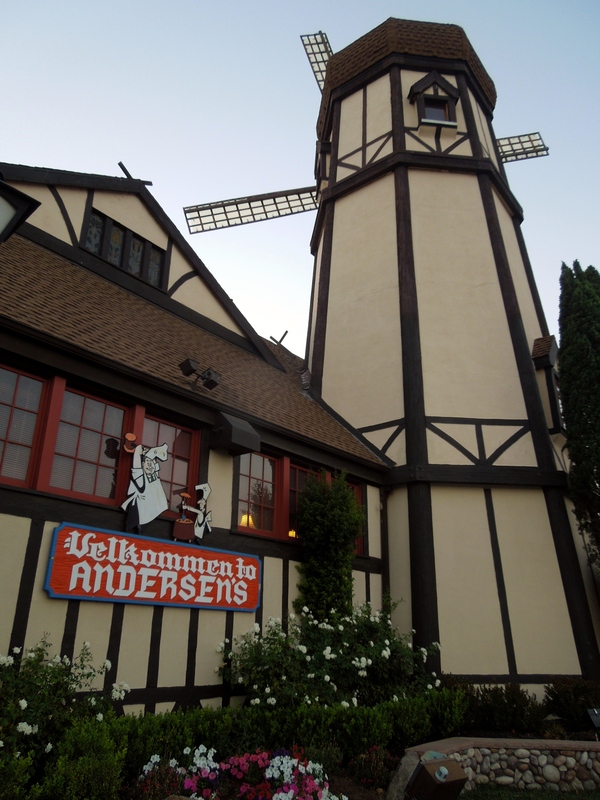 Velkommen to Pea Soup Andersen’s, home to the best pea soup in the state, possibly even the whole country! (ok, I have no evidence to support that, but as a lifelong split pea soup aficionado, I have yet to taste any that compares to Andersen’s). 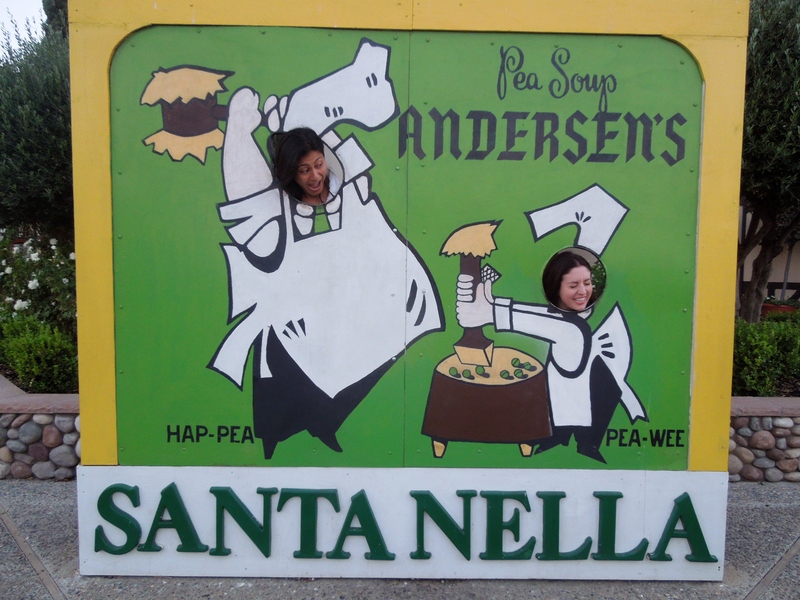 A favorite stop of travelers passing through central California since 1924, Andersen’s now serves up over 2 million bowls of pea soup each year in their warm, welcoming, family-friendly restaurants located in Buellton and Santa Nella. My parents brought me to Andersen’s as a child, and now, I can’t drive through the central valley without stopping for a bowl of all-you-can-eat split pea soup! 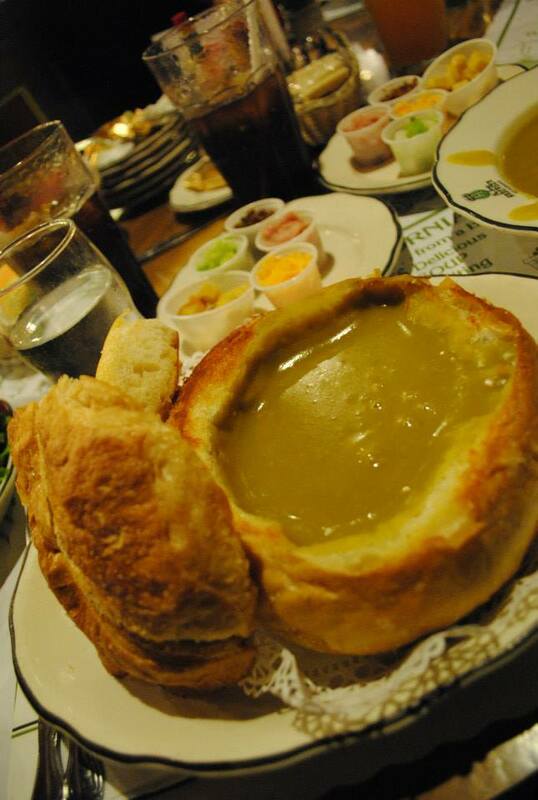 Even if you are not a fan of split pea deliciousness, Andersen’s has a full menu to accommodate every taste. 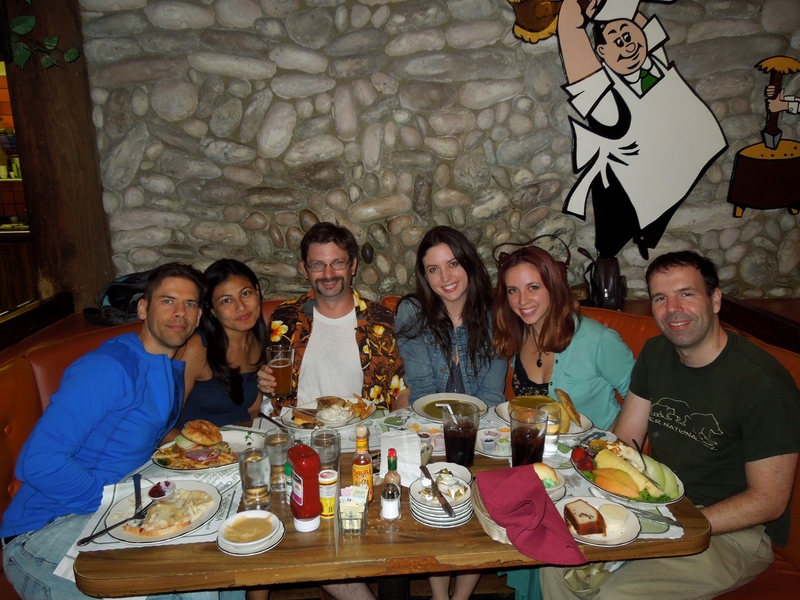 In my group of 6 travelers, only my sister and I ordered the pea soup, and the others all enjoyed their meals just as much as we did. Though in my opinion, if you order anything besides the split pea soup, you are seriously missing out. Not sure if you like pea soup? At least order a side bowl to go with your meal. You will never find better split pea soup than Andersen’s.